Which airline is offering flights to Adelaide? FlyPelican your local airline based in Newcastle. What type of plane will fly this route? Either an 80 or 100-seat Flying Fokker jet aircraft. The Fokker is a high quality, modern jet aircraft with an aerodynamic design and outstanding operational performance. 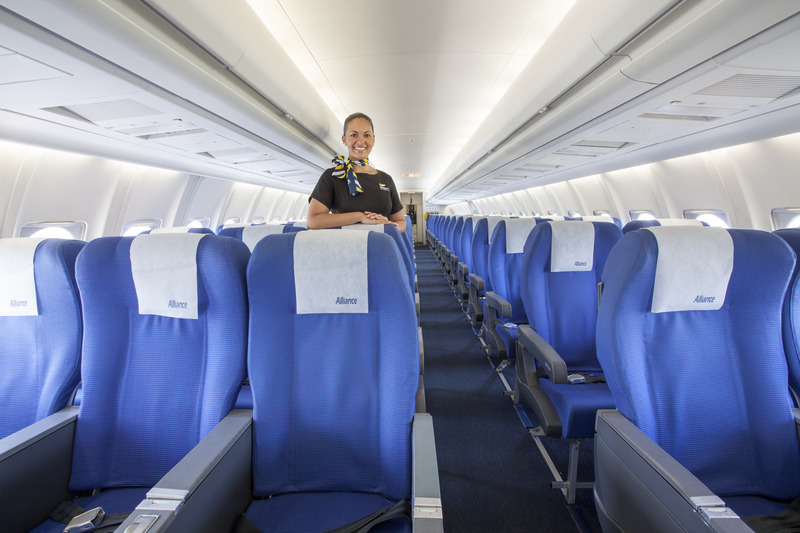 The passenger cabin in the Fokker is modern and spacious, with a single aisle and between 80 and 100 seats (33 inch seat pitch and 2 metres of standing height, impressive!) plus it’s known as the quietest jet aircraft in its class. The combination of low weight, great low speed capability and high performance engines makes the Fokker the ideal aircraft for operating short to medium haul routes like Newcastle to Adelaide. In fact, these are the planes that Jetstar and Virgin also lease to fly for much of their regional domestic routes. How often will there be flights to Adelaide? Friday, with the option to increase if demand is there. Check out flight times here. Two hours and 10 minutes. Saving you the better part of a day's travel time (and hassle) than going via Sydney! Yes, in flight-service is provided in the ticket price. No charge for checked baggage. Individual baggage allowance is generally 7kg hand baggage, 23kg checked in baggage. Can I connect on to international or other domestic routes from Adelaide? What will happen to my luggage? No. You can however, consider and book any onward flight separately. Your luggage will only be checked through to Adelaide and you would need to collect it from a carousel and check it in for any onward travel. When will the first flight to Adelaide be? March 2018. For the cheapest fares book direct with FlyPelican’s website. How do I book and can I make group bookings? Yes, please contact Fly Pelican directly for group bookings.